In the final phase of using yuzu seed residue to make lotions we will be making a bath additive! Let the ingredients of the seeds dissolve in hot water and enjoy! 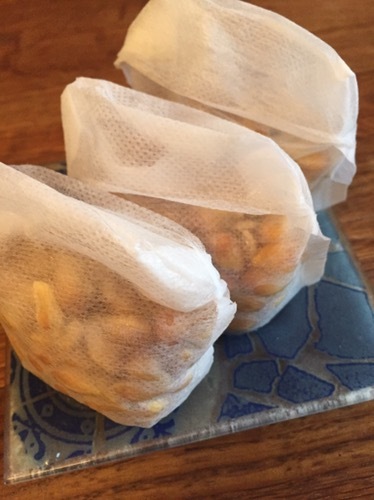 I thought that it would be easier to use if you put the seeds into tea-packs or soup-packs at first, but in the end I used them as they are in the bathtub and melted them in the hot water without any extra covering. You can use the lotion together with Yuzu fruit, increasing its potency! 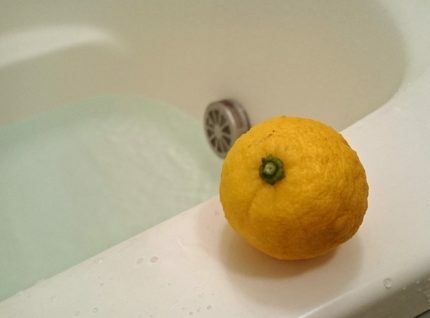 The scent of the natural citrus from the peel raises the healing effect, so the bath time will be further enhanced as a way of relaxing and re-energising yourself. I call the yuzu seed extract “Yuzu-pectin”. I changed the ratios of alcohol, refined water, hot water and solvent, and was able to make effective use of the yuzu residue with lotions, beauty lotions and bath additives. Yuzu season has many ways for helping our beauty and health! Please take advantage of this time to improve your life!